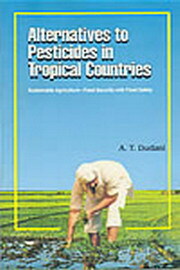 Alternatives to Pesticides in Tropical Countries presents a background to the history of pesticide use, tracing the gradual increase in both use and production. The author, AT Dudani, has written the book with particular reference to his local knowledge of India. While outlining the hazards of overuse of pesticides, the author explains the importance of international guidelines, developed by the Food and Agriculture Organisation.